Fresh shrimp, diced onions, tomatoes, peppers and avocados, mixed with our special sauce. 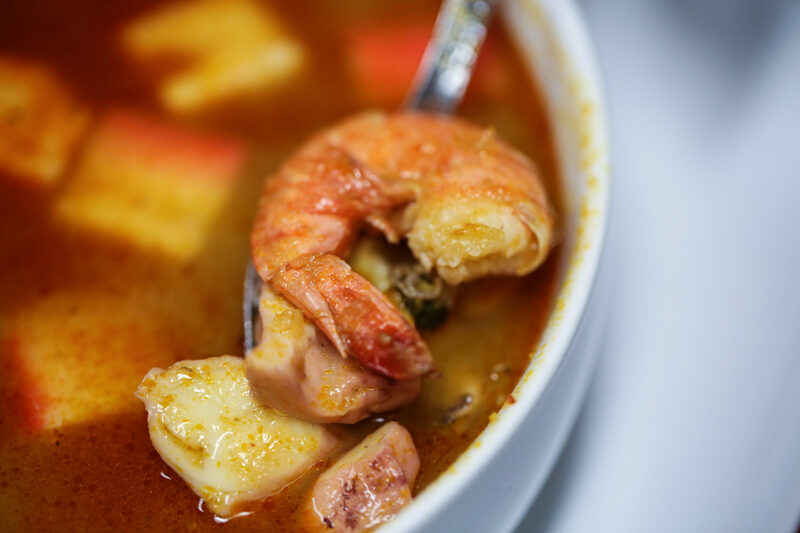 Fresh shrimp, with onions and tomatoes in our special sour cream sauce, served with rice and 3 tortillas. Fresh shrimp, jalapeño, cilantro, tomatoes and onions, rice and beans. 3 tortillas. Fresh shrimp, with broccoli, mushrooms, zucchini and baby carrots, topped with lettuce, tomatoes and shredded cheese. Served with rice. Fresh shrimp cooked with fresh pico mango. Served with rice, lettuce, avocado and pico de Gallo. Whole fried tilapia, with rice and beans. Served with lettuce, avocado, picked jalapeño and french fries. Grilled or breaded tilapia seasoned with our fine herbs recipe, shrimp. Served with rice and vegetables. Grilled tilapia and shrimp grilled, broccoli, onions, cauliflower, and mushroom onions and zucchini. Fresh Shrimp topped with grilled shrimp onions, zucchini and broccoli, cheese dip on top. Served with rice and black beans. Grilled tilapia seasoned with our fine herbs recipe. Served with rice and vegetables. Fresh shrimp, diced onions, tomatoes, peepers and avocado. Mixes with our special sauces. Grilled Salmon. Served with a salad, rice, and cheese enchilada. Delicious Jumbo Shrimp cooked with our "diabla sauce" Served with lettuce, guacamole and pico de gallo. Steak, chicken, grilled tilapia and shrimp cooked with onions, bell peppers, tomatoes and green onion sprinkled on top, served with salad and 3 tortillas. 10 grilled shrimp over a bed of rice with cheese sauce on top. Grilled chicken, steak and shrimp over a bed of rice with cheese sauce on top. Beef, chicken, shrimp cooked with bell peppers, onions and chorizo with cheese dip on top. Steak, Chicken, Shrimp and Bacon. 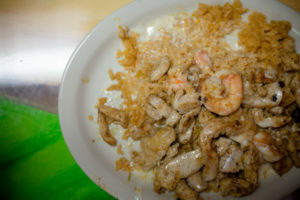 Grilled chicken or steak or shrimp, and California vegetables, onions, mushrooms, and zucchini, served over steaming bed of rice and topped with white queso. Served with grilled steak, chicken, chorizo, shrimp, fresh cactus, jalapeños, green onions, garnished radishes, avocado, cilantro, pico de Gallo, fresh Mexican cheese. Served with a slide of rice and beans. Cheese dip, crabmeat and shrimp, guacamole, sour cream & pico de gallo. Our special recipe sauce, shrimp or chicken and garlic bread. Charbroiled skirt steak, shrimp, served with rice, black beans, pico de gallo, sweet plantains, sour cream and cheese. Grilled chicken and grilled steak, shrimp, chambray onions, over a bell pepper bed. Served with rice, black beans, and fajita salad. Grilled tender strips of steak, chicken, shrimp, ham, pineapple, roasted onions, bell peppers, tomatoes. Served with black beans, Mexican rice, sour cream, guacamole, pico de gallo and tortillas. Grilled Shrimp topped with our diablo spicy sauce with rice and black beans served with lettuce, pico de Gallo and sour cream. Grilled flour tortilla with shrimp, cheese, mushroom, onion, bell peppers and tomatoes. Topped with lettuce, guacamole, sour cream and pico de gallo. Charbroiled rib-eye steak. Topped with onions and bell peppers. Served with fresh shrimp, rice, beans and 3 tortillas. Steak, Chicken, and Shrimp grilled with onions, bell peepers and tomatoes. Served with rice, beans, lettuce, sour cream, guacamole, pico de gallo and 3 tortillas. Two flour tortillas and deep fried with beans and topped with lettuce, tomatoes, sour cream, white queso and guacamole. Chicken, shrimp or chorizo with rice and beans inside. Served with lettuce, pico de gallo and sour cream. Charbroiled rib-eye steak, topped with onions and bell peppers, served with rice, beans and 3 tortillas. Grilled with onions, green peppers, zucchini, and mushrooms. Served with rice, beans, lettuce, sour cream, guacamole, pico de gallo and 3 tortillas. Large flour tortilla with cheese, marinated strips of chicken, steak and shrimp, onions, bell peppers, lettuce, sour cream and pico de gallo. Grilled chicken or steak or shrimp and California vegetables served over a steaming bed of rice and topped with white queso.